Eddie Gorm is the boss of the docks and his only obsession is to run his small business. For this, the docker does not shrink from anything: diversion of military rations, traffic of alcohol and settling of account in the district of the East End. The war? The Nazis? This is the problem of others. Except that when death knocks on his door, he has no choice: the only man to save the world from atomic horror, Eddie finds himself propelled despite himself in the midst of a millennial conflict between the Order of Templars and the Brotherhood of Assassins. This comic is just one of a large number of Assassin’s Creed stories that Titan Comics has published, and the most recently published story includes the Assassin’s Creed: Origins series of comics that take place after the events of Ubisoft’s latest game of the same title. 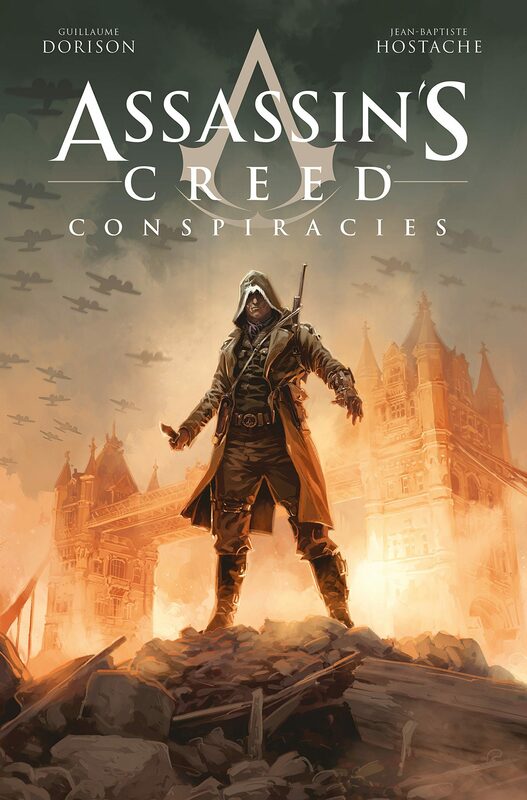 Assassin’s Creed: Conspiracies was written by Guillaume Dorison, and features artwork by Jean-Baptise Hostache. According to the comic’s Amazon pre-order page, the mini-series will be available in English for the first time on October 30, 2018.